In a medium saucepan, combine water, lemon zest, and sugar. Bring to a simmer. Simmer just until sugar is melted, about 2 minutes, stirring occasionally. I use a special kind of curved knife, called a tourne, to hull strawberries. Best multi-tasker in my kitchen. 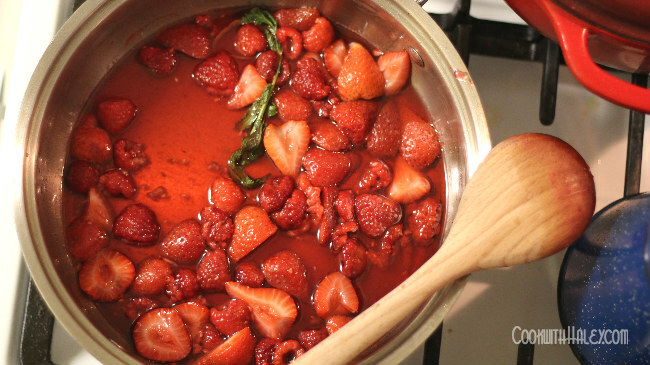 Add half of the strawberries and mint to the sugar syrup. Reduce heat to a very low bubble, medium low heat. Cook just long to soften the strawberries, but not so long that they start to break down and become mushy, about 5 minutes, stirring occasionally. Remove from heat and cool to room temperature. At this point you can refrigerate this mixture overnight or up to 24 hours. Just be sure to return to room temperature before you assemble the cake. Once sugar mixture has cooled, discard the mint and lemon zest and stir the remaining strawberries and raspberries into the mixture and set aside for 5-10 minutes. In a medium bowl combine the flour, baking powder, 2 tablespoons white sugar and the salt. Using a pastry cutter, cut in the shortening until the mixture resembles coarse crumbs. 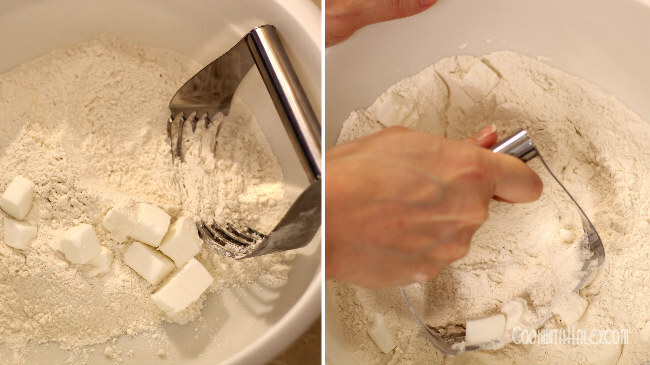 Use a pastry cutter to cut shortening into flour. Add the beaten egg and cream to the dry ingredients and stir until just combined. 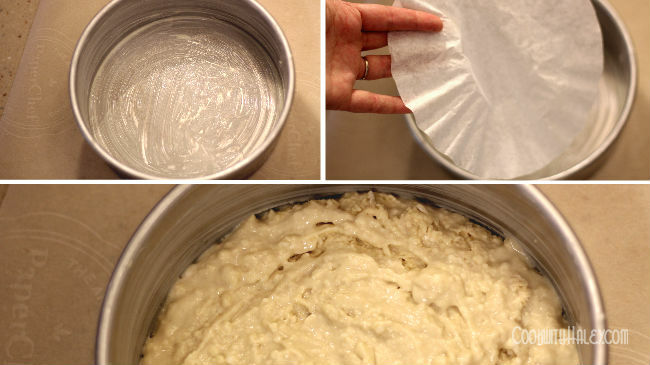 Haley’s tip: grease 8″ cake pan with butter and line the bottom with an 8-12 cup coffee filter. Let your cake cool in the pan for 5 minutes, then turn the cake out onto a wire cooling rack. Refrigerate your cake for about 30 minutes before cutting it in half. If you are planning to assemble the cake the next day, allow the shortcake to cool completely (30 minutes to an hour on a cooling wrack) then double wrap in plastic wrap and refrigerate over night, or up to 24 hours. 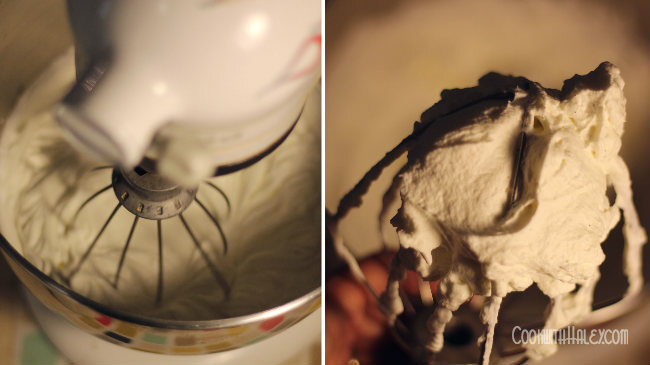 Add cream, sugar, and vanilla to the bowl of a stand mixer with whip attachment in place. Turn the mixer on to the medium low speed (usually number 3 or 4). After a 2 minutes of mixing turn the mixer speed up to medium. 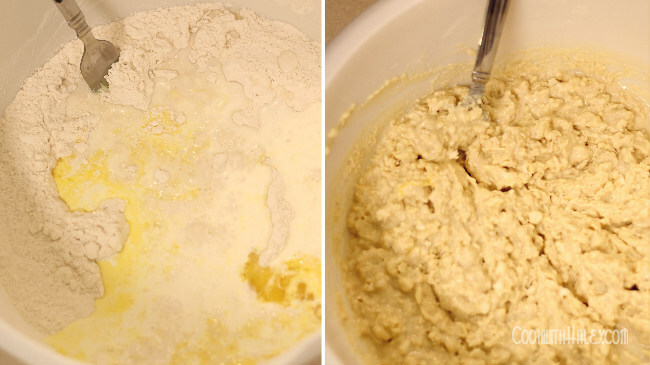 Mix at medium speed until you begin to see the cream form into soft peaks, about 5-7 additional minutes. 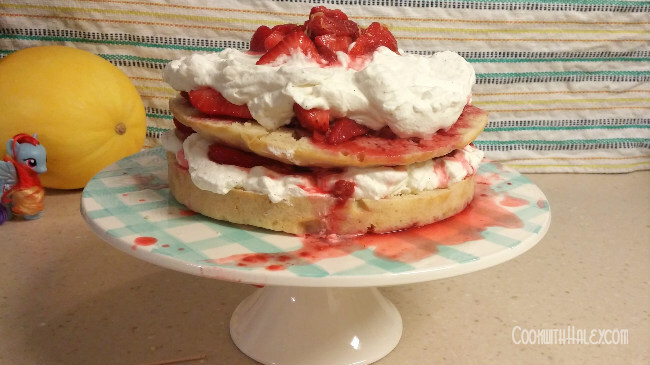 Whipped cream…Sometimes I cook late at night when it’s dark…sorry, not sorry. 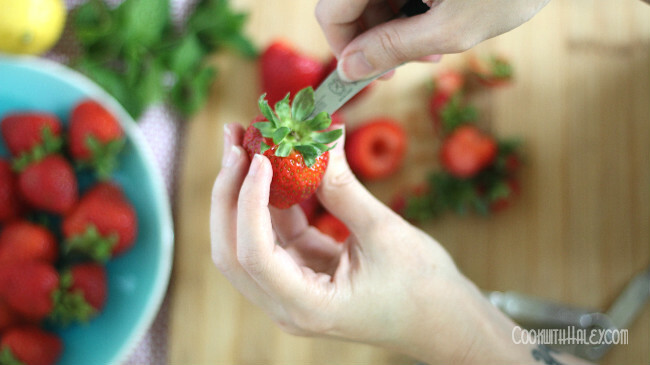 Spoon out the most in-tact strawberries from your berry compote and set aside to be used on top of the cake. To assemble the cake, layer one half of the split cake onto a cake stand. Drizzle with about 2 tablespoons of the juice from the strawberry compote. 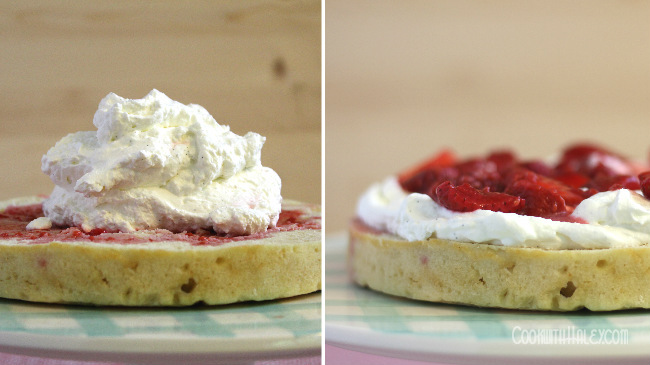 Spread half of the whipped cream on top of the cake evenly using an offset spatula. Spoon half of the cooked berries from the berry compote over top of the whipped cream. Spread them out evenly. 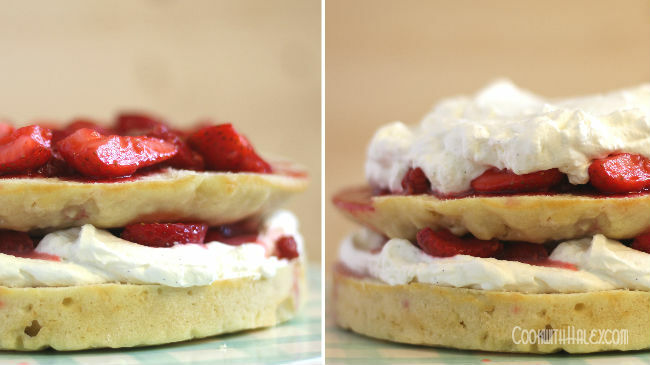 Layer the remaining cake over the whipped cream and strawberries. Drizzle 2 more tablespoons of the juice evenly on the cake and layer the remaining half of the cooked berries evenly over the cake. Spread the remaining half of the whipped cream evenly over the cake and berries. 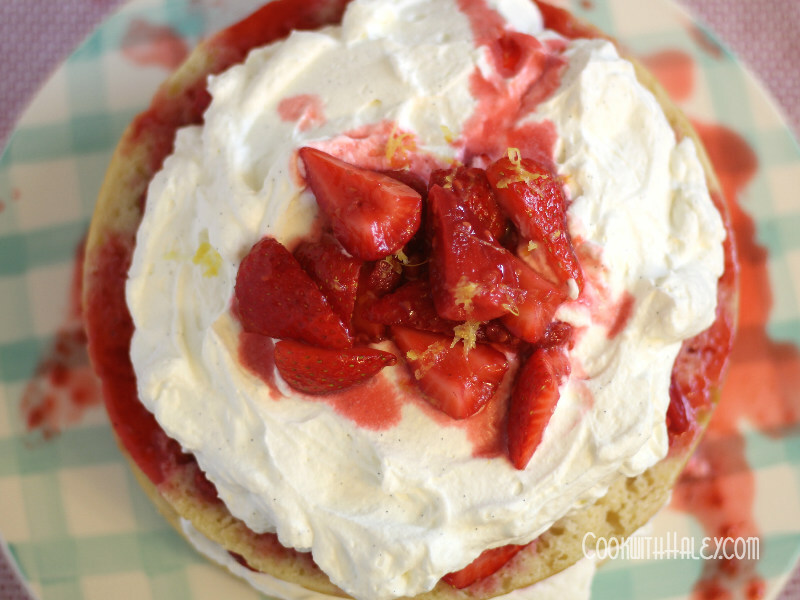 Top the whipped cream with the reserved strawberries right in the middle of the whipped cream and drizzle with 1-2 more tablespoons of juice over the strawberries. 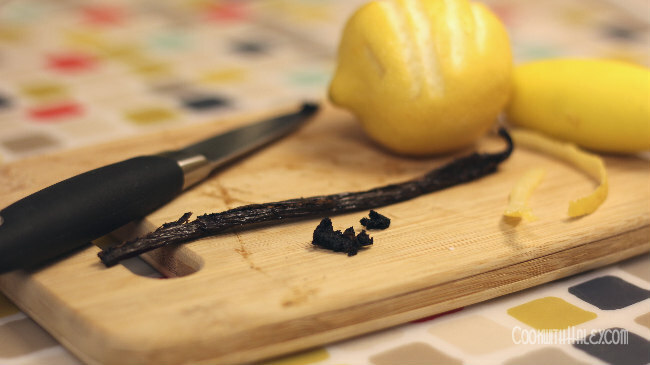 Garnish with additional fresh lemon zest. Make the cake, berries compote, and whipped cream the day before, chill separately, cut cake in half and assemble the the cake the day of serving. 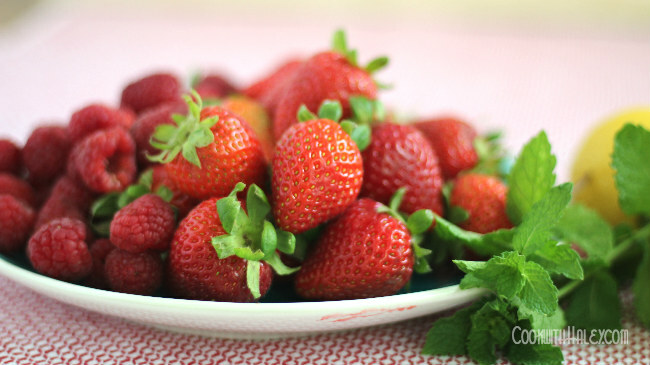 i could use a summery slap in the face right about now (i miss fresh strawberries and raspberries!). i made something very similar to this over the summer (great minds think alike! ), except mine had lemon cake instead of shortcakes.